Billionaire Warren Buffett says the company he built through decades of acquisitions continues to perform well even though he hasn't found any major deals at attractive prices recently. Buffett wrote that Berkshire continues to hold roughly $130 billion US in cash and short-term investments because he hasn't found any reasonably priced acquisitions in recent years, so he'll likely continue investing more in stocks. Edward Jones analyst Jim Shanahan said he was disappointed that Berkshire didn't use more of its cash to repurchase its own shares or invest in other stocks, especially when the market declined near the end of the year. Buffett's letter is always well-read in the business world because of his remarkable track record and his talent for explaining complicated subjects in plain language. Berkshire reported a $4-billion profit for last year as most of its eclectic mix of businesses — including BNSF railroad, Geico insurance and several large utilities — performed well. But that was significantly lower than the previous year's $45 billion, because Berkshire had to write down the paper value of many of its stock holdings. 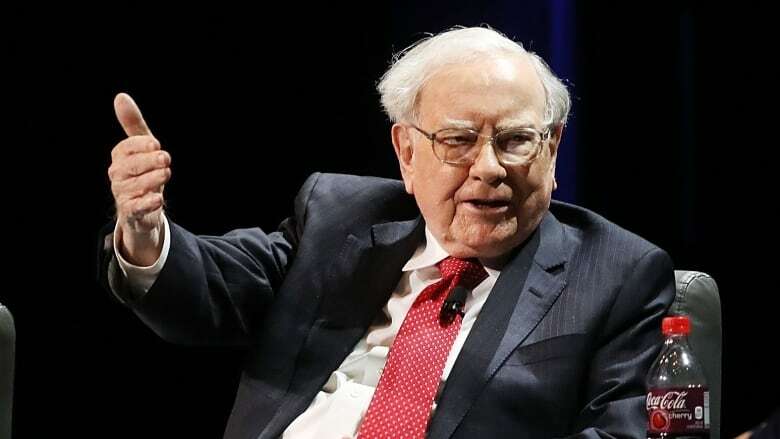 "Berkshire's operating businesses are doing great," said Kilpatrick, a retired stockbroker and author who wrote Of Permanent Value: The Story of Warren Buffett. "I'm glad to see there's no talk of retirement." On the same day of the letter's release, the company reported a huge quarterly net loss, even as operating profit soared. Sinking stocks and deteriorating prospects from an investment in Kraft Heinz pummelled the company's bottom line. The fourth quarter net loss was $25.39 billion, or $15,467 per Class A share, reflecting more than $27.6 billion of investment losses, including from stocks Berkshire still owns. That compared with a year-earlier profit of $32.55 billion, or $19,790 per Class A share, most of which resulted from a lowering of the U.S. corporate tax rate. Results included a $3.02-billion writedown for intangible assets that Buffett said was "almost entirely" attributable to Kraft Heinz, in which Berkshire owns a 26.7 per cent stake.